I started being intrigued about swimming in cold water (without a wetsuit) in October 2012. And it is not a coincidence that this was the time I started reading Donal Buckley‘s fantastic open water swimming blog Loneswimmer. Donal is an open water swimmer in the South-East of Ireland and with his many informative and detailed cold water swimming posts, he quickly became my spiritual guide into the open swimming world. His posts were fascinating enough to peak my curiosity and get me out of my comfort zone and into cold water. Or at least in water that at the time I defined as cold, which was anything below 20C. I was well aware that 20C was unbearably warm for the likes of Donal and Owen O’Keefe and other real cold water swimmers out there. Anyway, since October 2012 until August 2013, I was swimming somewhat consistently (once or twice / week) in cold water. But the majority of my workouts outside the summer and fall months were still done in the pool or in the ocean with a wetsuit. Then two things happened that spiked my interest in cold water swimming. The first was San Francisco and Night Train Swimmers. I had to make a few trips to San Francisco in August. September and November 2013. By that time both Susan and I had become good friends with Vito Bialla (in fact, next June we plan to swim across the Sea of Cortez with him), one of the founders of Night Train Swimmers, and we were invited to swim with them in the San Francisco Bay. Confident that I had a good cold water acclimatization base, I made the decision that “when in San Francisco, do as the Night Train Swimmers”. And that means no wetsuit. I had a few swims in SF’s Aquatic Park in August with water at 15.7C (45 minutes) and then in November with water at 11.8C (30 minutes) and 12.5C (40 minutes). 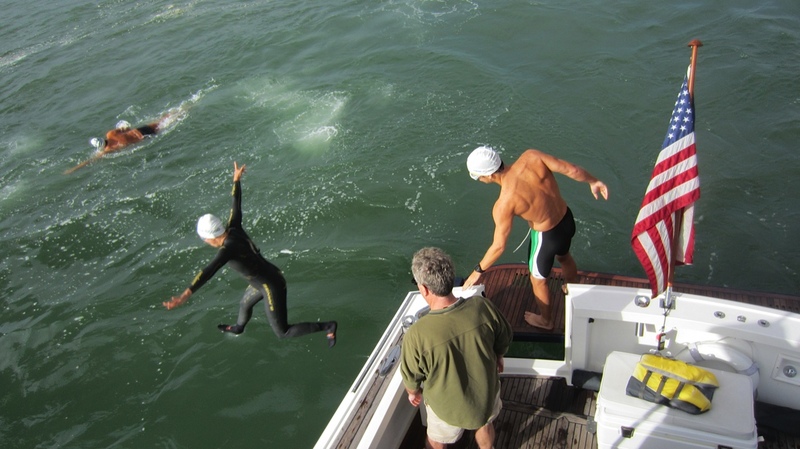 In September, we swam 10km from the Golden Gate bridge to the Oakland Bay Bridge, a 1 hour 47 minute swim at 15.5C. 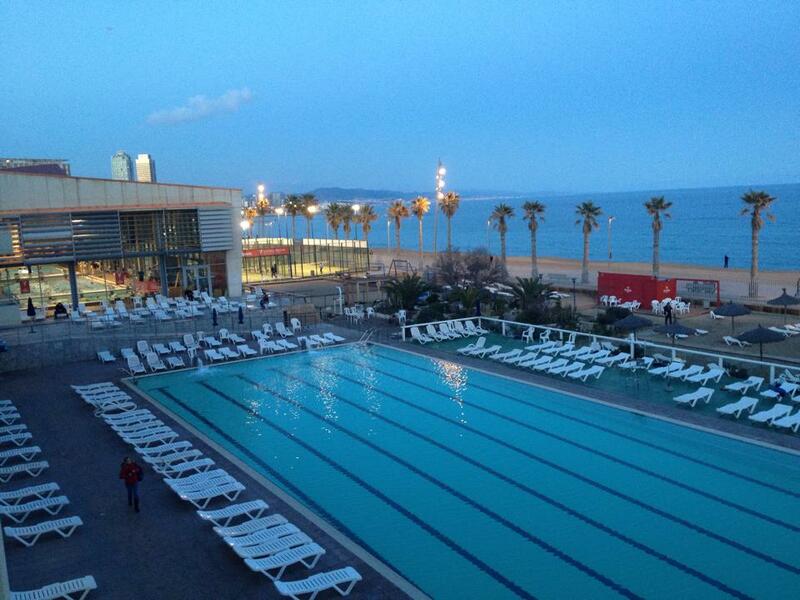 These swims in San Francisco gave me confidence to continue my cold water venture in Barcelona. The second trigger was a need to reset. After the Lanzarote – Fuerteventura swim in October 2013, I entered into somewhat of a swimming rut. In November and December, I had the lowest mileage months in years. After the christmas holidays I was still not feeling as motivated as I wanted with my swimming. So I decided to do what we always do when our electronic equipments are frozen: a reset. I did this by significantly increasing my exposure to cold water swimming. Instead of swimming in the 28C pool, I swam either in my club’s 33m salt water pool (14C- 15.5C these days) or the ocean (13.8 – 14C). 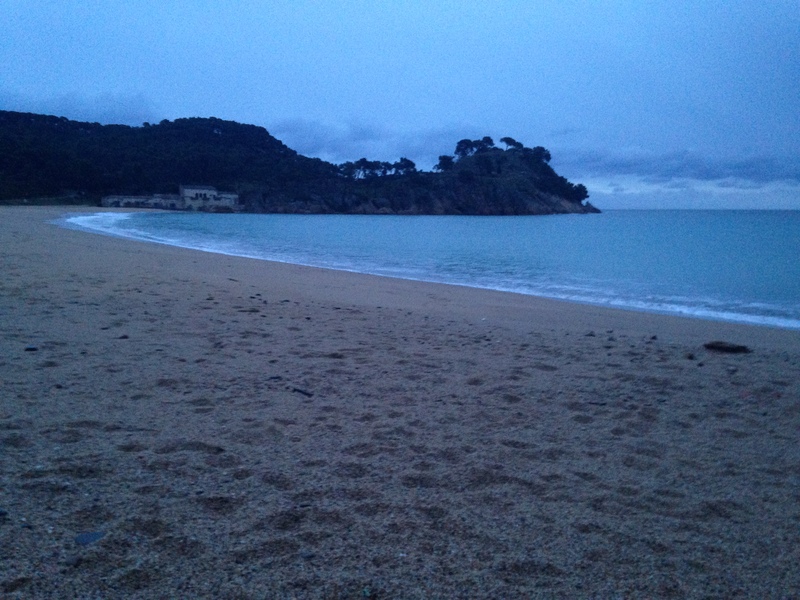 This reset also included a few sunrise swims in wild and unspoiled coves along in the Costa Brava, spots where I had never swum before or would have never discovered without my reset. Another (unintended) factor that has played a role in my cold water conditioning is that I have not had any hot water in my apartment in the last 2 months. No temptation of starting the day with a hot morning shower. 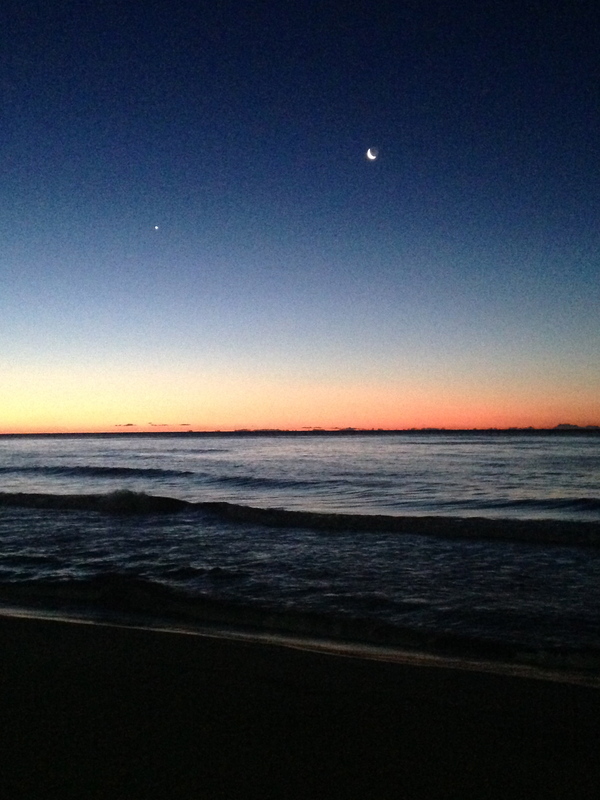 Between starting the day with cold water in the ocean or in a shower stall, I’ll choose the ocean most of the time. I am not yet up to a high swimming mileage, but I am sure enjoying the discovery of this new dimension in swimming. I’ve found out that being able to swim in colder water requires a combination of a methodical and gradual acclimatization process, a confidence in our newly gained ability, and a radical change in mental chip. Where the mind goes, the body follows. And what is certain in any case is that the more I swim in cold water, the more I admire the Donals, Vitos and Owens of this world who swim on a regular basis and without blinking in infinitely more hostile conditions and colder water. They are no doubt the real deal. In the meantime, I’m happy to continue with my cold water baby steps. ‹ Survey Results: Are you Planning a Dream Swim? Thanks a lot Magic Mom. We’re all looking forward to your next visit. I’ll make sure to take you out on another night out in town, martinis and Gin&Tonics included of course. I have a seafood place in mind that I think you’ll enjoy. It turns out that Em finally gave me today a magic sponge. I’ll put that sponge to work this weekend and I’ll report back with the results. 🙂 All the best and have a good weekend. You are screwed. You’re one of us now. Thanks for the kind words. At some point you’ll come here for some of that cold water therapy. Hey Donal. I know my place in the pecking order, but I very much appreciate your words. If I head your way, it’ll be more like a shock treatment instead of a therapy, but that’s a trip I have high on my priority list. One of these days, I hope. Have a good weekend!